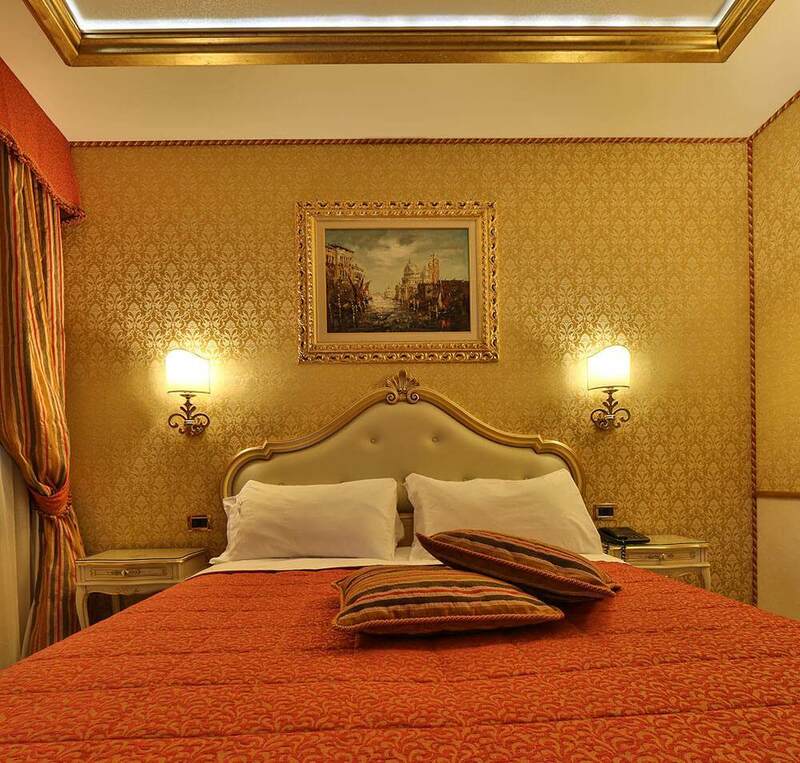 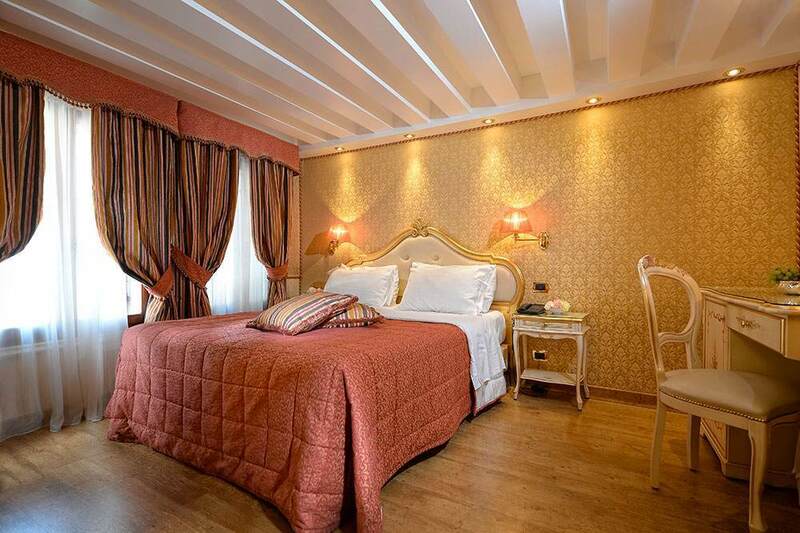 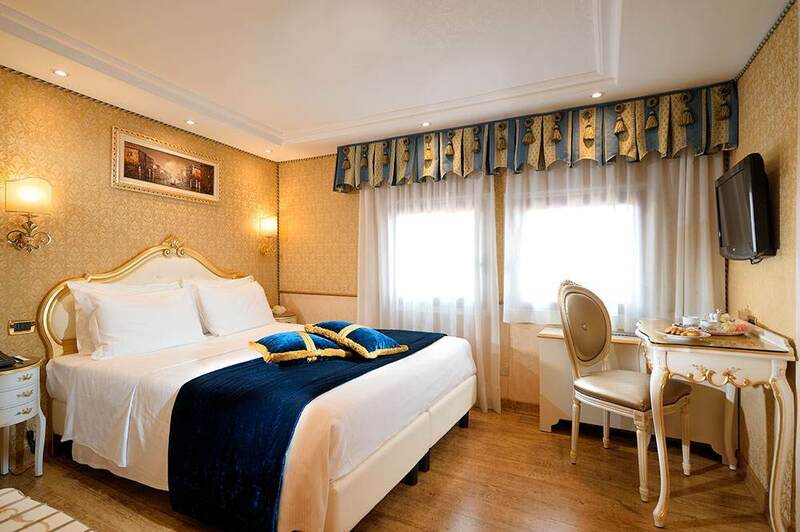 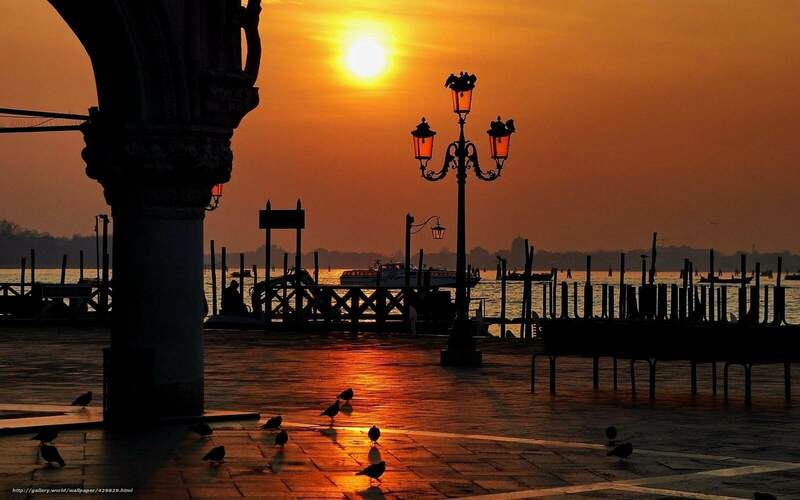 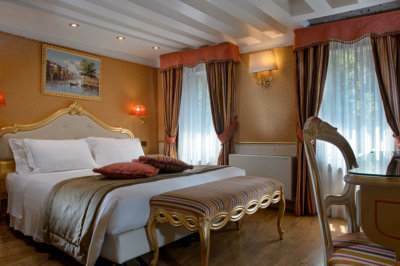 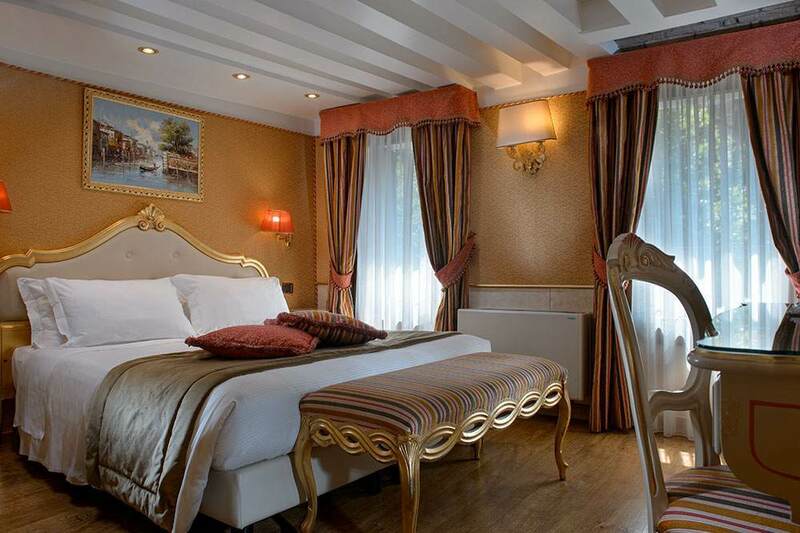 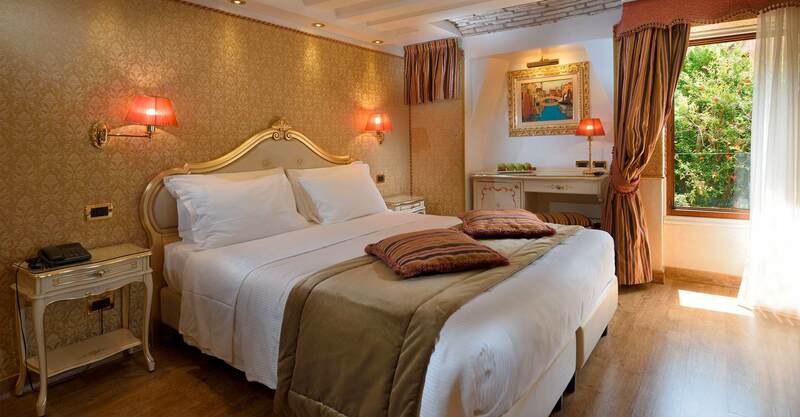 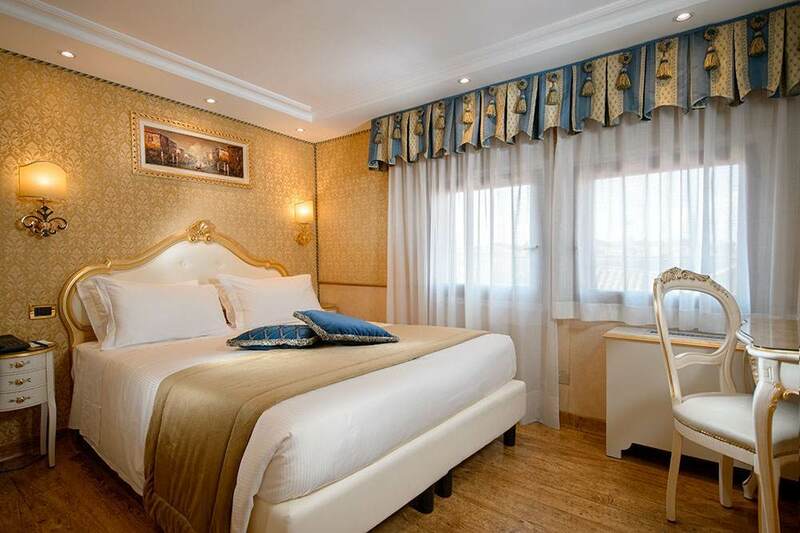 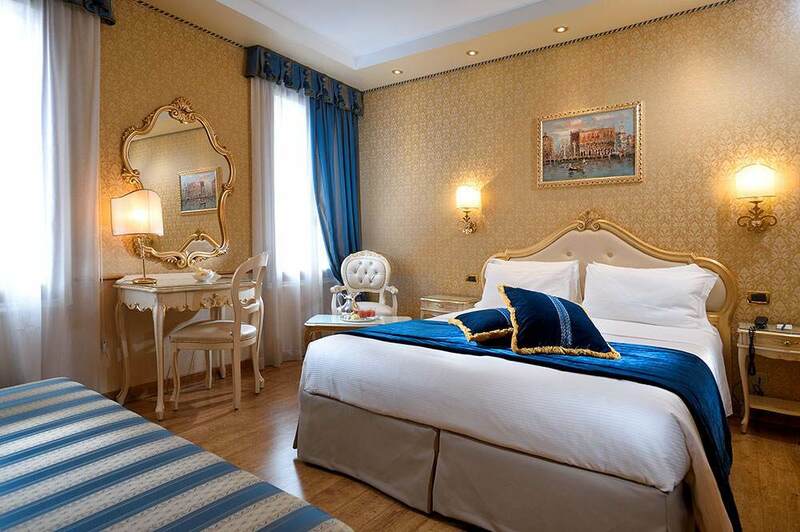 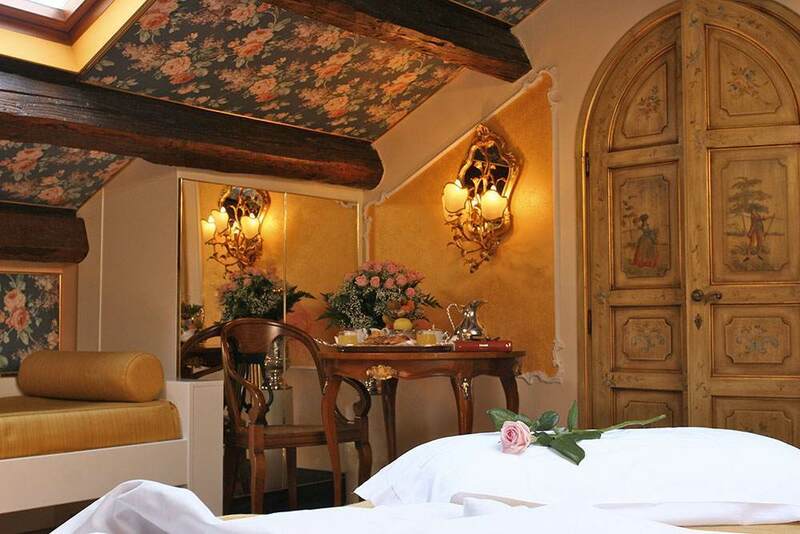 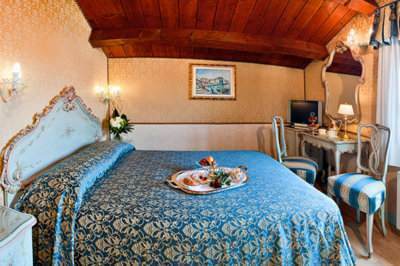 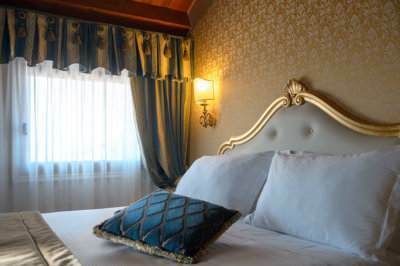 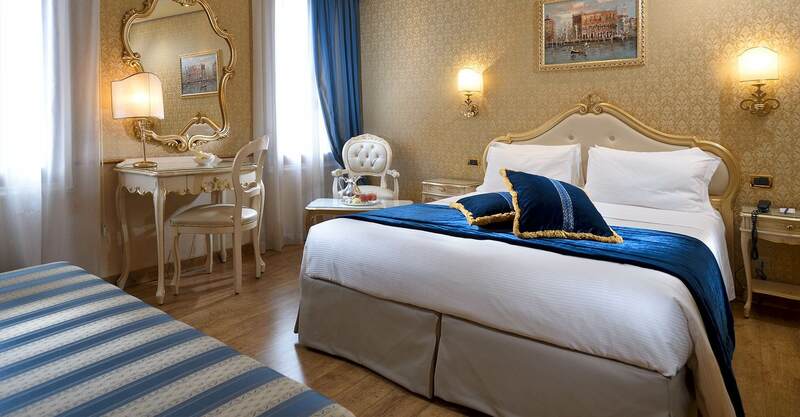 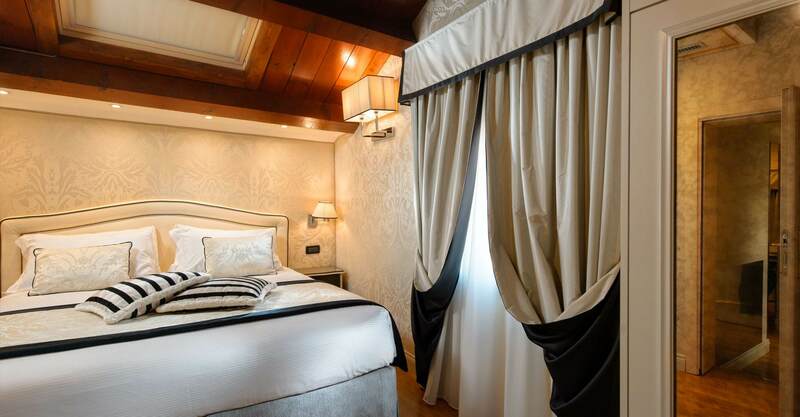 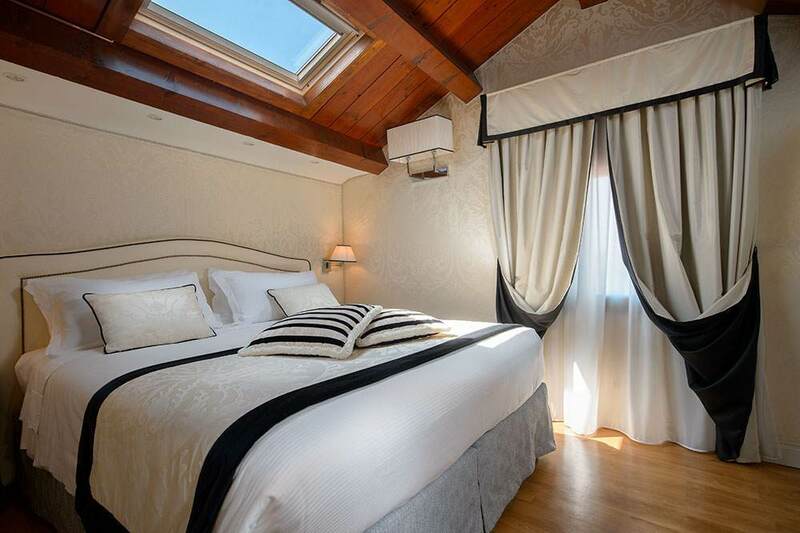 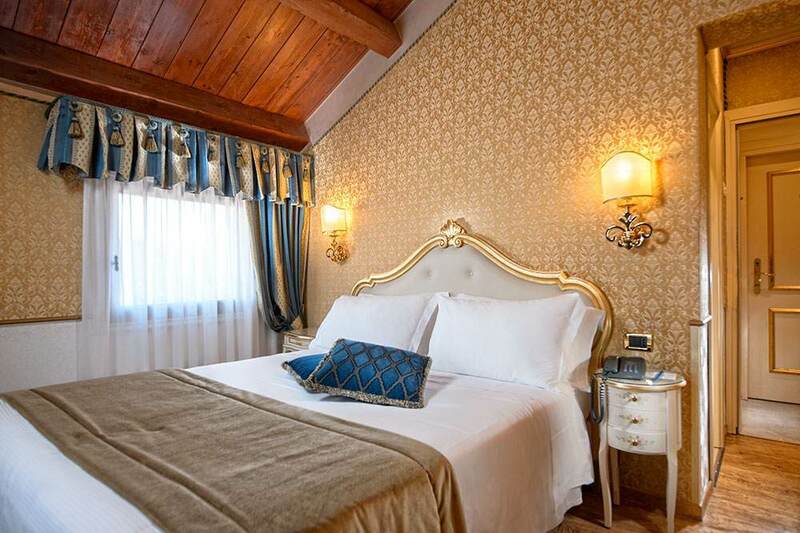 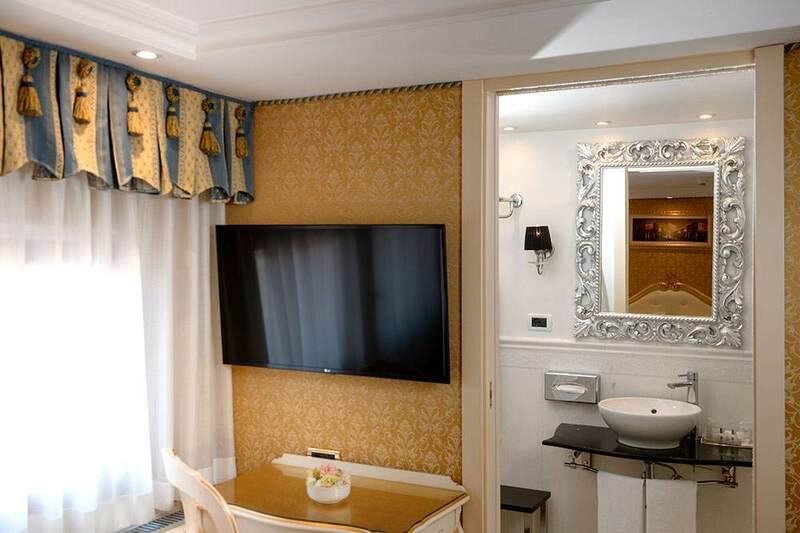 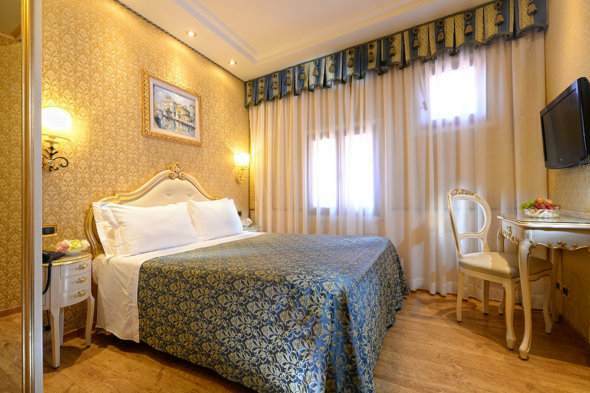 In Piazzale Roma, Hotel Olimpia of Venice offers rooms with a warm, welcoming ambiance, filled with 18th century Venetian style furniture, and including flat screen TV, air conditioning and private bath. 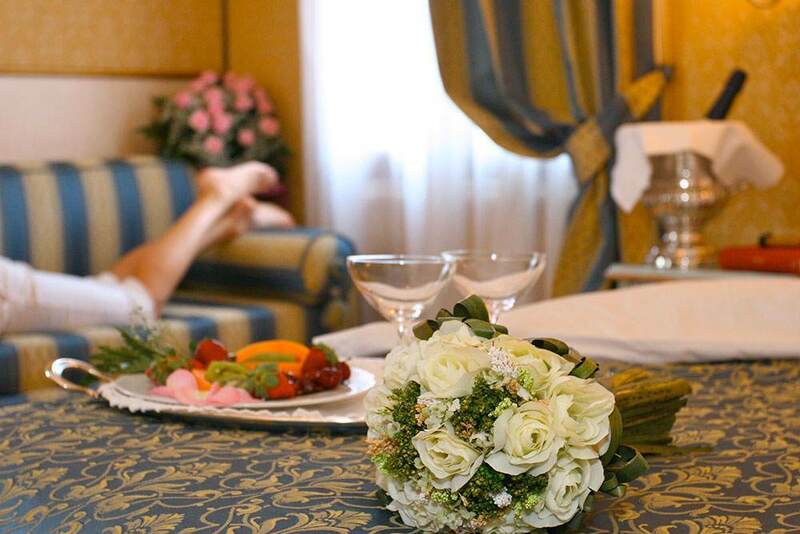 Far from the bustle of tourists, you’ll enjoy the peacefulness which characterizes our refined rooms, offered in Economy, Classic and Superior categories. 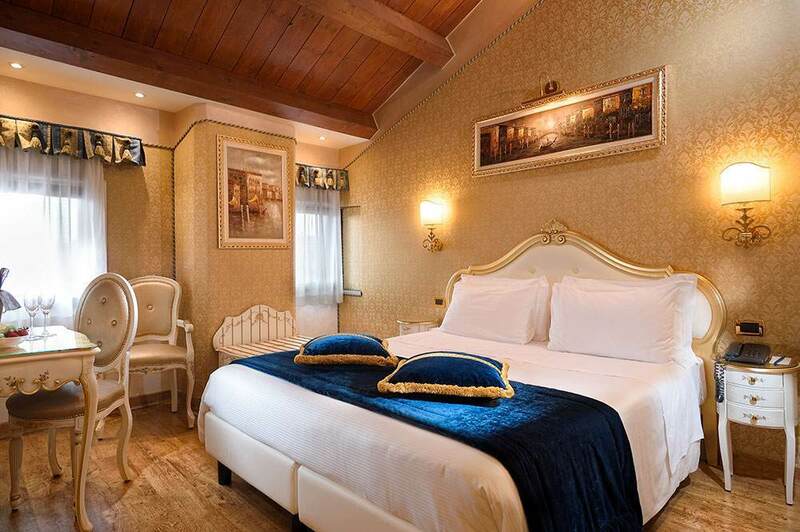 Very spacious and elegant Venetian style room, featuring a comfortable sofa. 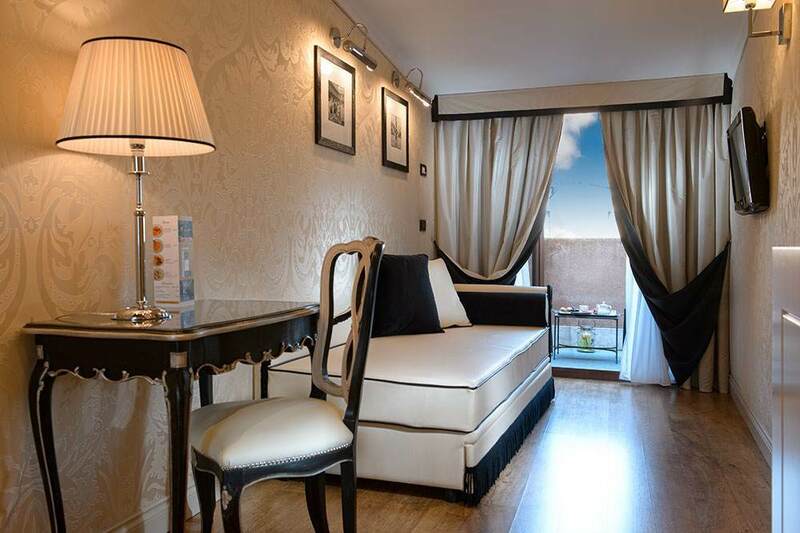 For up to 2 guests; a cot or the sofa bed can be made available for those travelling with a child. Picturesque view of the canal, this Venetian-style room has lots of space to stretch out and relax and enjoy one of the most romantic cities in the world. 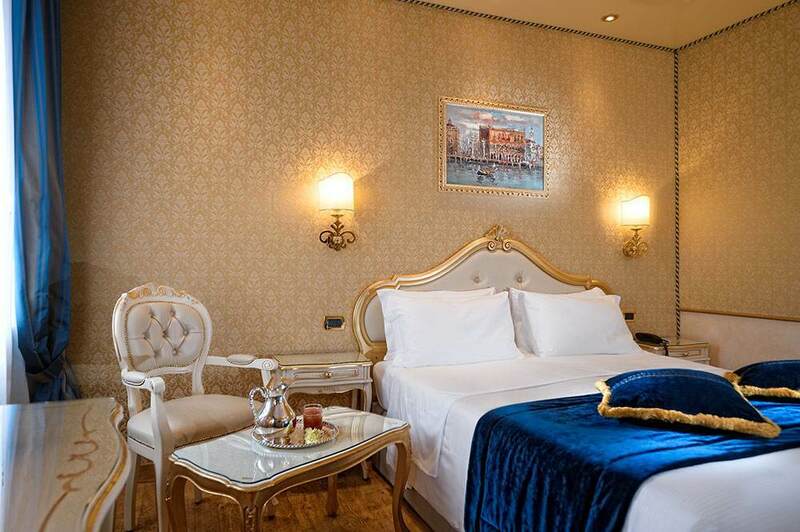 Picturesque view of the hotel garden, this Venetian-style room has lots of space to stretch out and relax and enjoy one of the most romantic cities in the world. Available as a double or queen, this Venetian-style room is the perfect choice for a couple. 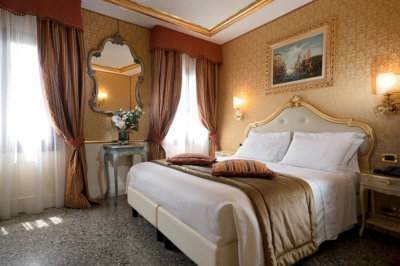 A welcoming Venetian-style room, air conditioned and perfect for families. 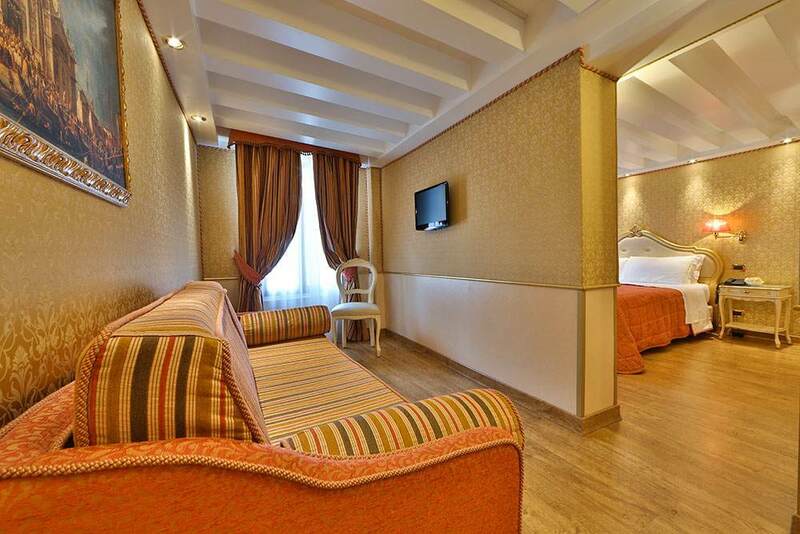 It can comfortably welcome up to 4 people. 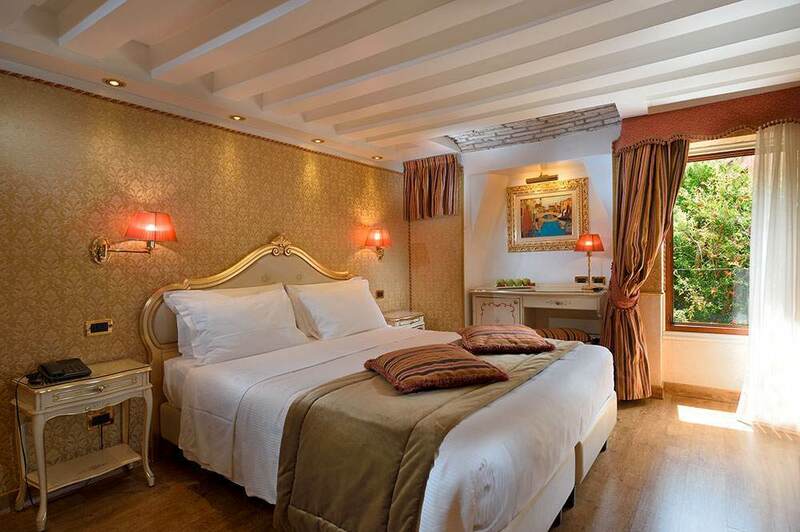 The perfect example of a “lovely, little ” Venetian room: a romantic alcove with a full bed and 17th century inspired furniture. With all the comforts you’d usually find in a hotel.